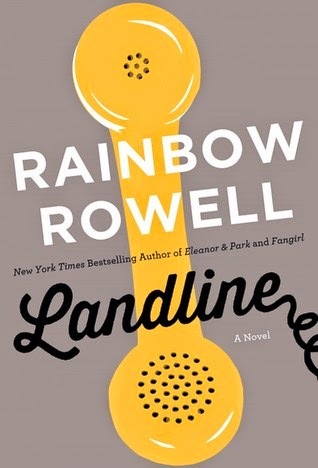 Landline is not a young adult novel. While I can imagine some seniors in high school enjoying it because of the glory that is Rainbow Rowell, the topic is decidedly adult. Georgie McCool is a TV writer whose career is really taking off, to the detriment of her marriage to Neal. When she decides not to travel to Omaha with him and their daughters, Georgie may have lost him completely. She realizes that the old telephone at her mother's house is capable of calling back to 1998 when she and Neal were dating. Should she use this phone to win him back, or to convince him she isn't worth it? I will read anything that Rowell writes--she is one of the most readable authors out there. I dedicated my day to this book and it was perfection. I don't usually review adult books here, but I wanted to make sure that anyone who visits this site knows to pick this up. Rainbow Rowell is the best.